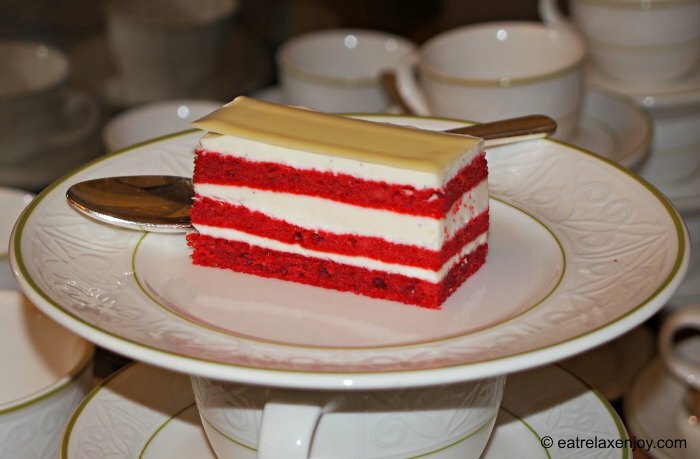 Pastry Chef Claude Ben Simon of Waldorf Astoria Jerusalem reveals the recipe of the hotel’s cheesecake, based on the Famous Waldorf Astoria Red Velvet Cheesecake! 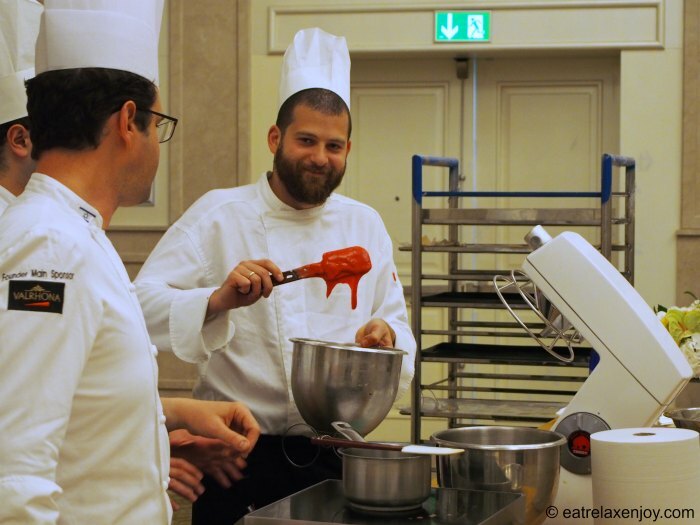 Pastry Chef Claude Ben Simon was born and raised in France, he came to Israel after studying in France and working with Pierre Hermes, and in other famous restaurants and chocolatiers in Paris and in Israel. Claude tells us that at Waldorf they keep innovating. He uses the best and newest ingredients. He tells us happily that budget is never an issue when he prepares his cakes. 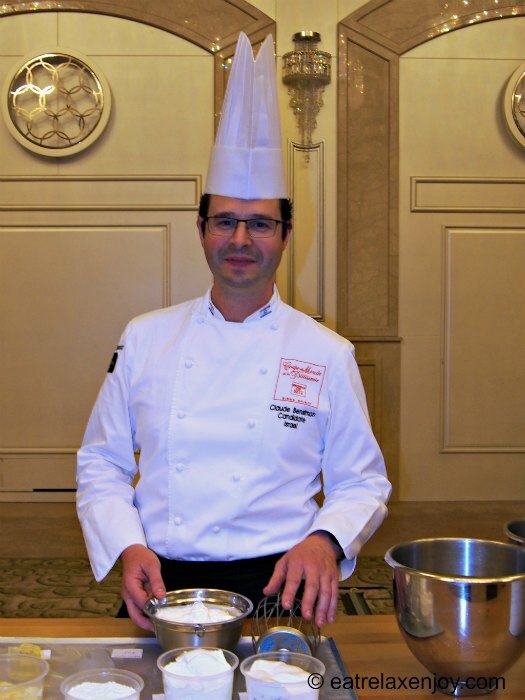 Being the chef of Jerusalem Waldorf Astoria has many challenges, the hotel serves many events every week, and hundreds of cakes are baked weekly. 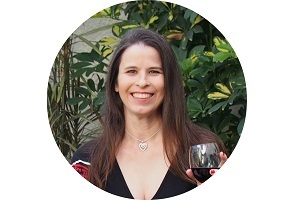 The other challenge is that the cakes must be strictly Kosher, and often non dairy (parve). He also made some changes in the cakes he serves, using less butter (quality oils instead) and less sugar. Here is some of the sweet stuff we tasted when we attended the baking workshop that Claude organized. It was soooo yummy! 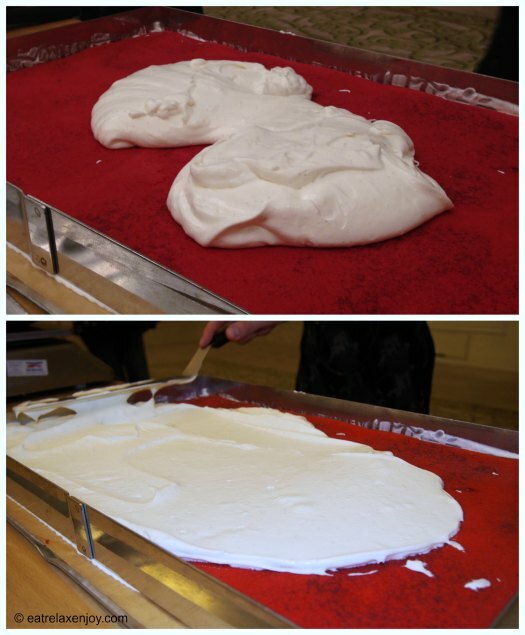 Whip the eggs and sugar (left-top of following photo). 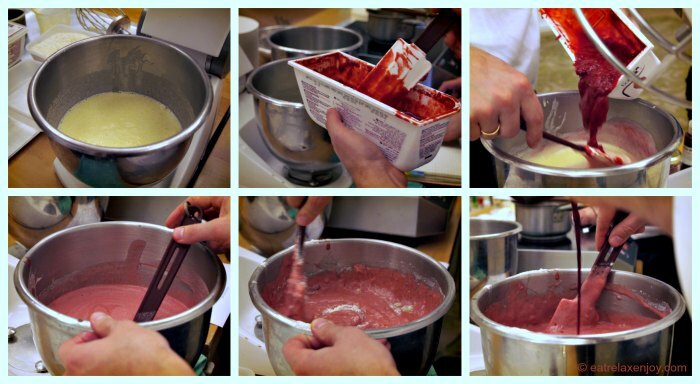 Fold in gently the raspberry puree with a spatula (middle and right of following photo). Add the powders and oil alternatively, and mix gently. Add color (bottom of following photo). 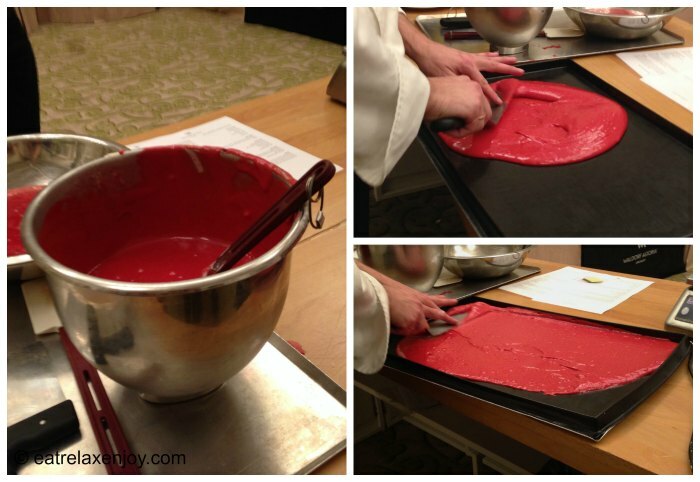 Transfer to a baking tray (20×20) lined with parchment paper and greased. Bake in 170c (338f) for 30-40 minutes until the dough is fully baked and is flexible. Beat 2/3 of the pastry cream in an electric mixer with the cheeses, powdered sugar and vanilla seeds (left top of following photo). Heat up 1/3 of the pastry cream and add warm Gelatin. Slowly add the mixture to the mixer with the other ingredients. 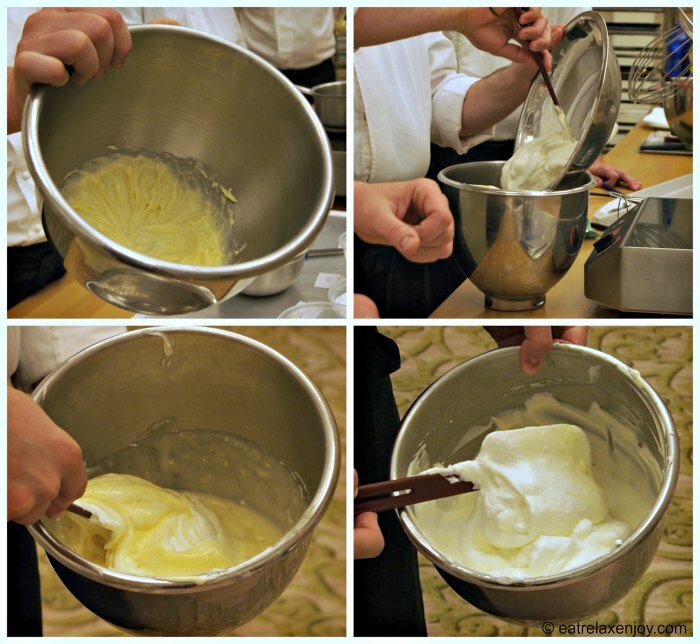 Mix and fold in the whipped cream (bottom right of following photo). 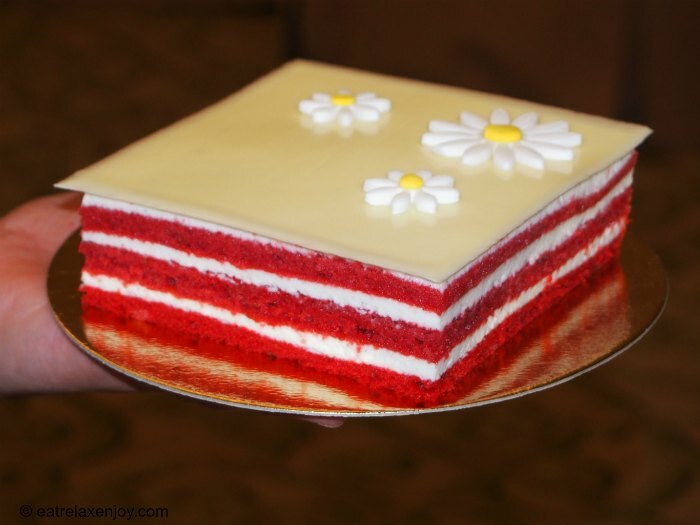 After the cake cools, frost the first layer with 1/3 of the Cheese Frosting (170 gr). Put another cake layer, and frost the next one, etc. Refrigerate for at least half hour. Decorate with wild berries, strawberries, chocolate plaque or flowers. Look how nice this cake’s profile is!